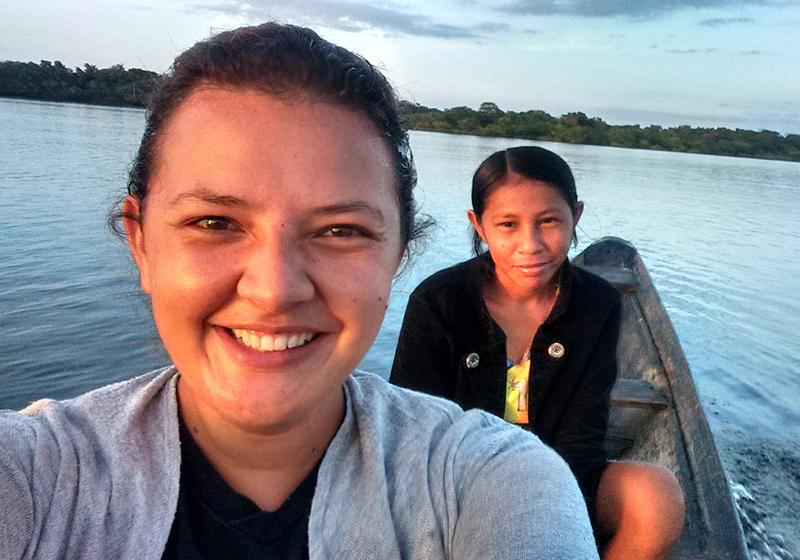 eet Gabriela, a 25-year-old church planter who helped start a group of believers in a village called Piraí nestled along the Amazon River in Brazil. Adventist medical workers had paved the way for Gabriela’s work by ministering to the villagers’ physical needs. But when she arrived to share God’s Word, some villagers eyed her with suspicion. “They thought I’d come to deceive them,” Gabriela said. “So I started visiting them in their homes with my big smile. I’d sit and talk with them about all kinds of things, offer to pray about their concerns, and help them in any way I could.” In time, the villagers grew to love her. 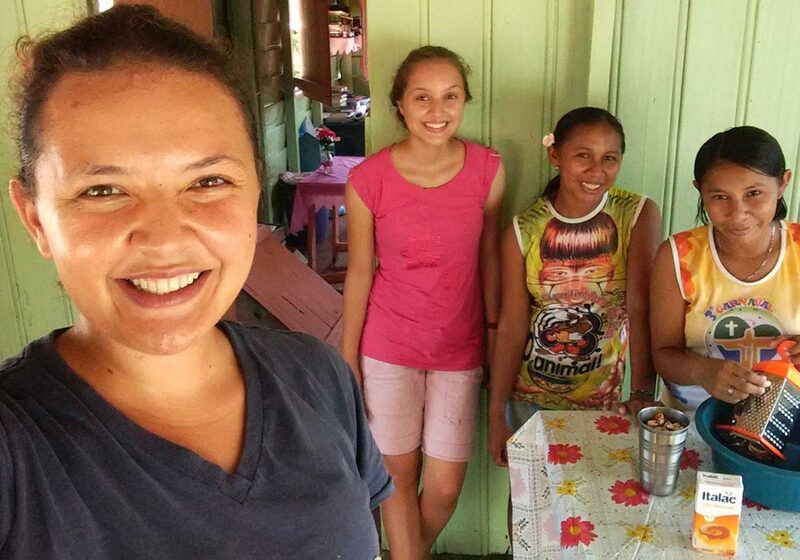 One day, Gabriela and her church planting partners, Anna and Carol, distributed pencils and paper to the villagers and asked them to write their names if they were interested in studying the Bible. When they collected the papers, they discovered that 60 people had requested studies! Gabriela, front, loved to help the villagers with their work. Here, she’s fishing with Jane. Gabriela, right, and Anna, left, with five brothers they helped prepare for baptism. The floating church is in the background. 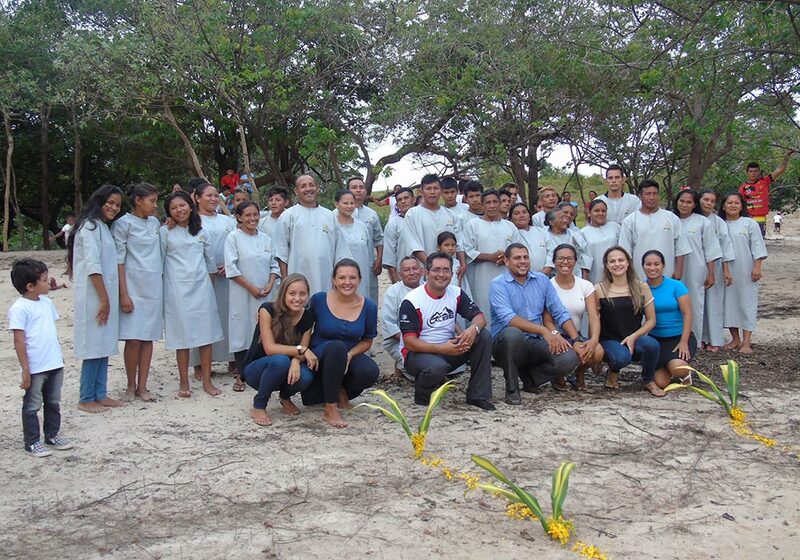 Some of the people who were baptized in Piraí. Kneeling in the front row are Anna and Gabriela on the left and Carol, second from right. Pastor Reno Guerra and his wife, Natalia, are to the left of Carol. 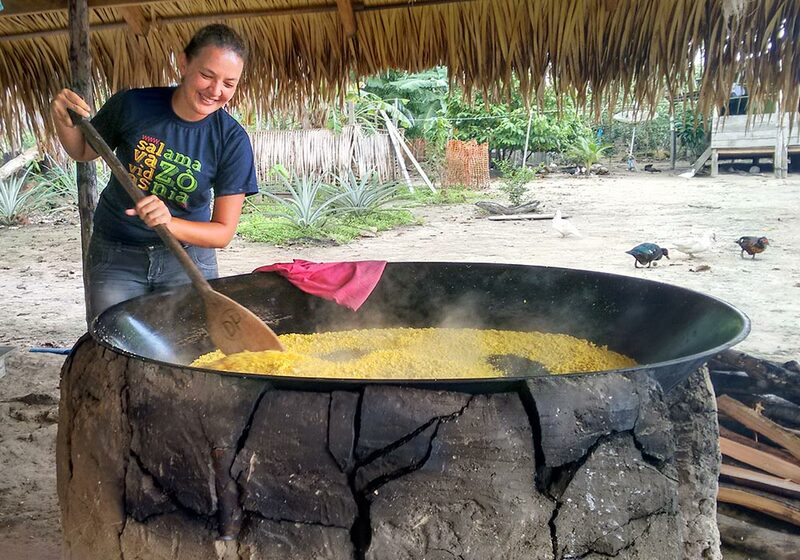 Gabriela roasting cassava flour, a popular staple in the Amazon. Jane, right, and Zilma, beside her, teach Gabriela, left, and Anna how to create a Brazilian treat. Carol surrounded by village children who love her. Two of those people were Jane and Zilma, young women who drank heavily. 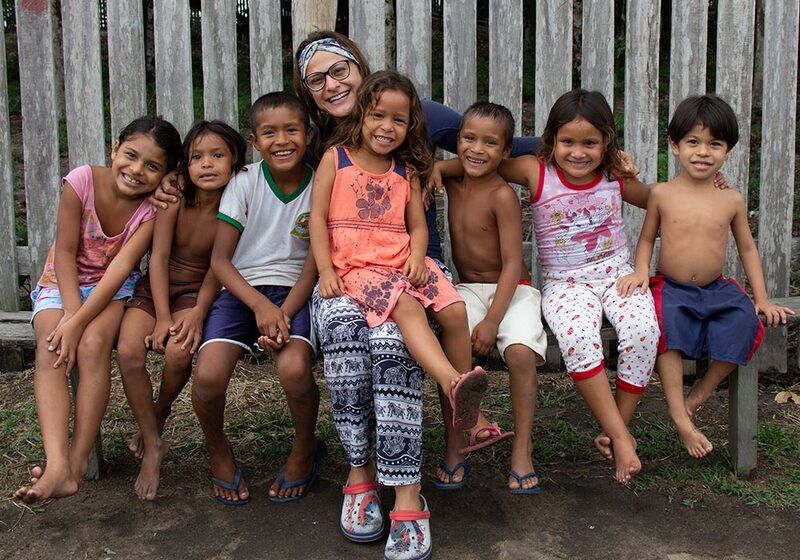 Gabriela made friends with them and noticed that, over time, their lives began to change. 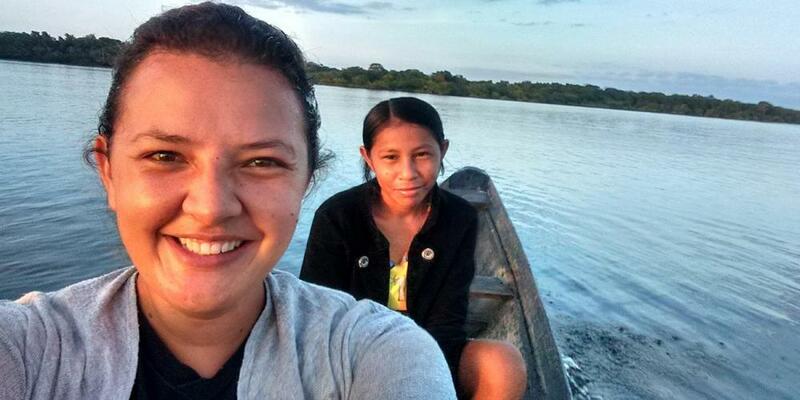 One day, Jane and Zilma saw Gabriela giving Bible studies and asked if they could study too. Gabriela studied with Jane and Zilma for several weeks and then invited them to join her for Sabbath worship. They had to canoe to another village to attend an Adventist church because a church hadn’t been built yet in Piraí. The women enjoyed the experience and began attending every week. One Sabbath, Jane and Zilma learned that there would be a communion and foot-wash-ing service the following week. They were eager to take part although they had no idea what the service meant. The next Sabbath, Gabriela explained every detail of the service while the women joyfully participated. Two months later, they were baptized, and they have been active members ever since! Gabriela was instrumental in helping others experience close relationships too, such as two brothers who hadn’t spoken to each other in years. The men used to fight when they drank, and one day, one brother cut the other’s face, leaving a long scar. The brother who’d been struck occasionally joined Gabriela’s Bible study. He never commented during the study and didn’t answer Gabriela’s questions when she tried to engage him. But Gabriela didn’t give up. One day, she handed him her Bible and asked if he wanted to know God. He nodded, and after that, he began attending regularly. During this time, Gabriela became acquainted with the other brother and invited him to join the group. He hesitated when she mentioned that his brother was a member, but he agreed to come. “When the brothers met, they stood and stared at each other for some time,” Gabriela said. “Then everyone sat down, and we began a study that I’d selected on the topic of forgiveness!” At the end of the study, the two brothers hugged, and soon the man with the long scar gave his heart to Jesus. 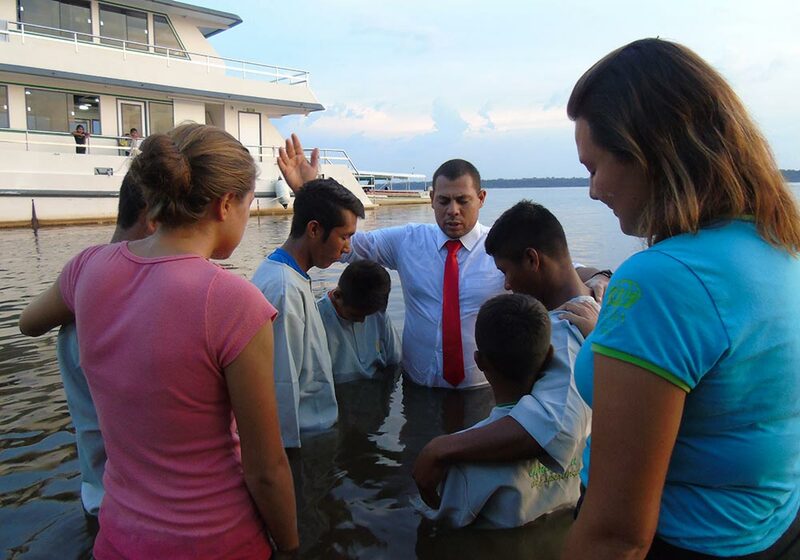 During their year of service, Gabriela, Anna, and Carol were able to establish a group of believers in Piraí and prepare them for the arrival of a team of missionaries who live aboard a floating church. This large boat was made possible by your support of a previous Thirteenth Sabbath Offering. Operated by the Northwest Brazil Union, it houses several missionaries, including Pastor Reno Guerra and his wife, Natalia, and a church that can seat 100 people. This mission team travels from village to village, holding evangelistic meetings and baptizing those who have accepted Jesus through the ministry of church planters. One afternoon near sunset, Gabriela, Anna, and Carol brought the baptismal candidates with whom they’d studied to Pastor Guerra for baptism. One hundred people were baptized that day! Once the floating church team leaves for their next destination, many of the church planters feel that the real work has just begun. They will stay to disciple the church plant and train its new leaders. Please pray for the young church in Piraí and for all our church planters around the world. And thank you for supporting their ministry!